In this much anticipated biography, the respected Catholic journalist and writer, Francis Alban (with new material by Christopher Ferrara) tells the inspiring story of the life and work of Father Nicholas Gruner, the Canadian-born founder and director of a Marian movement that many consider to be among most-influential and powerful in the contemporary Catholic Church. Setting his tale amidst the great historic events of our century and writing in dramatic, often poetic prose, Alban depicts the warm, faith-filled home in which Nick Gruner was born and the future priest formed. Covering his childhood, education and years as a seminarian at the prestigious Angelicum in Rome, the author provides a fascinating portrait of the influences and ideas which would later lead the young priest to dedicate his life and work to Our Lady of Fatima. 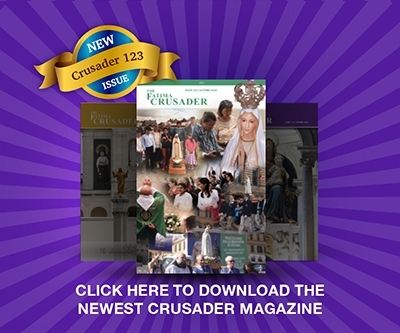 In the chapters devoted to the foundation and work of his Fatima apostolate, readers will discover many of the reasons why Father Gruner is often called the “most controversial priest in the Catholic Church today.” His stalwart, unflinching determination to see that the requests made by the Blessed Virgin at Fatima are fully complied with have made him many friends and followers as well as some powerful enemies within the Church bureaucracy. Against the backdrop of the current crisis gripping the Catholic Church, Francis Alban fully explores Father Gruner’s long and desperate struggle to defend his priestly rights and reputation, providing new facts and documentary evidence heretofore unseen outside of ecclesiastical courts. It is doubtful that, after reviewing this new information, many readers can remain unconvinced that the case against Father Gruner is anything more than a careful and well-organized effort to suppress the Message of Fatima. Also included in this volume are Father Gruner’s own personal reflections on a wide variety of moral, theological and personal topics, providing further insight into the life and mission of this uniquely pious and dedicated priest.